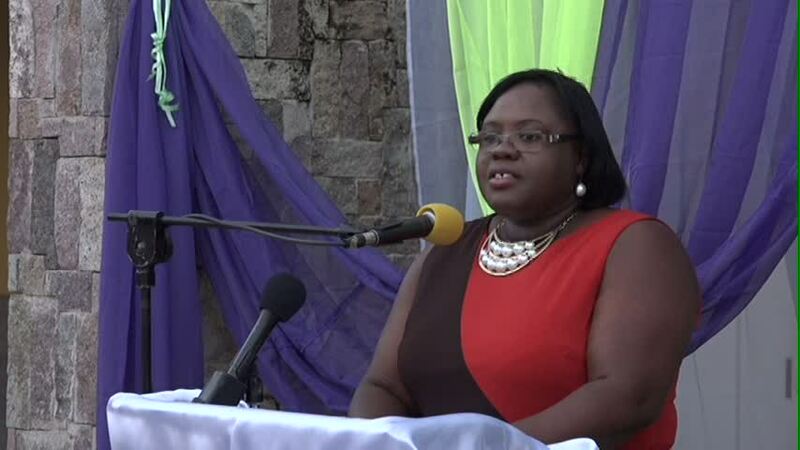 NIA CHARLESTOWN NEVIS (APRIL 02, 2015) –Junior Minister of Social Development on Nevis Hon. 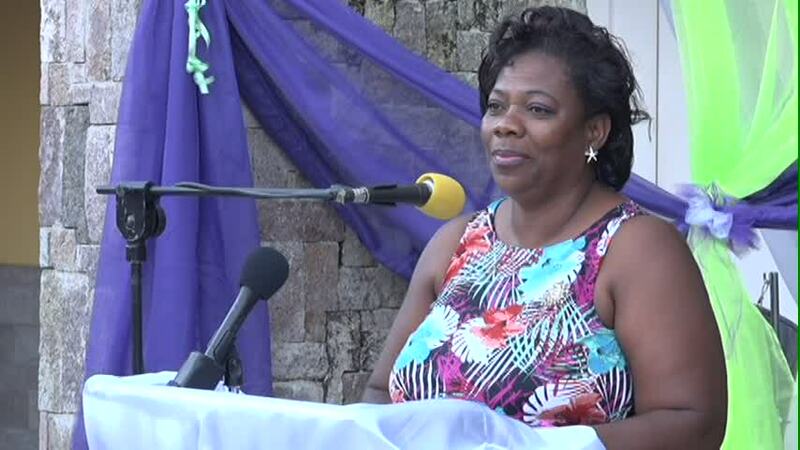 Hazel Brandy-Williams urged 16 women who were honoured by the Ministry of Social Development’s Gender Affairs Division, to help push the agenda of women forward on Nevis. The awardees were recognised for their contributions in a range of categories -Esther Jeffers in Small Business, Vernice Wattley-Blackettin Sports, Nurse Ermine Jeffersin Health, Michele Hill in Non-traditional Jobs, Emmontine Thompson in Agriculture, Velma Jones in Community Service, Rhonda Forbes-Williams in Single Mothers, Sandra Maynard for Longest Serving Foster Parent, Jennifer Weekes in Women Designers, Viana Stapleton in Education, Pastor Sandra Flemming in Ministry, Elmeader Brookes in Tourism, Glenda Whittaker a Care Giver, Jean Harris in Politics, Janice Nisbett in Music and Judy Archer in Performing Arts. “I am saying to you, that we as women, we must make it happen and we could start in our own very little space, in our homes, in the churches, in the community to make a difference. That is the only way we could be able to move forward. I am saying to you, that women form the critical mass in our society, we outnumber the men, so why are we not making it happen? It’s about time, that we take that bold step, in charting our course and so ladies as I salute you today I am asking you to continue to make it happen,” she said. The Minister also registered her satisfaction to be a part of a function which celebrated the accomplishments and achievements of women in Nevis. 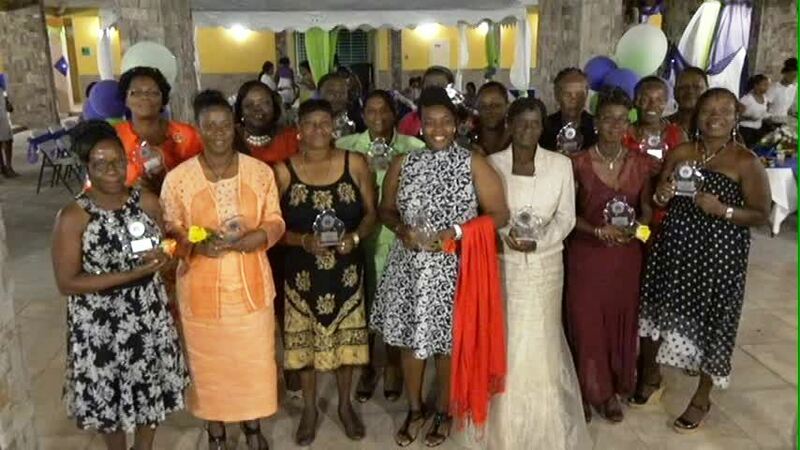 She urged them to look at how far the women of Nevis had come in the past 20 years and said for the most part they had broken the glass ceiling and now treada path which women before would not have seen it possible to do. Mrs. Brandy-Williams noted the importance of taking time to applaud women and the sterling contributions they had made to the development of Nevis. She urged those who had accomplished to assist others to do the same. Meantime, Coordinator in the Gender Affairs Division Lorraine Archibald explained that the Awards Ceremony was part of the division’s month-long International Women’s Day celebrations on Nevis. On March 1st swimming classes for women ages35 to 65 years were launched and to date there are 17 women participating in the classes conducted by the St. Kitts and Nevis Defence Force Coast Guard. On March 5th there was a church service at the Eden Brown Church of God. The division held awomen in leadership organisationsroundtable discussion on March 8 whichhas given the division some light at the end of the tunnel. As a result it has built a closer relationship with women’s organisations on the island. A Women’s Trade Show, to allow the women of Nevis to showcase their products, their talent and their skills, was held on March 20. Archibald said it marked the beginning of great things to come in 2016 and beyond, for women in small business.